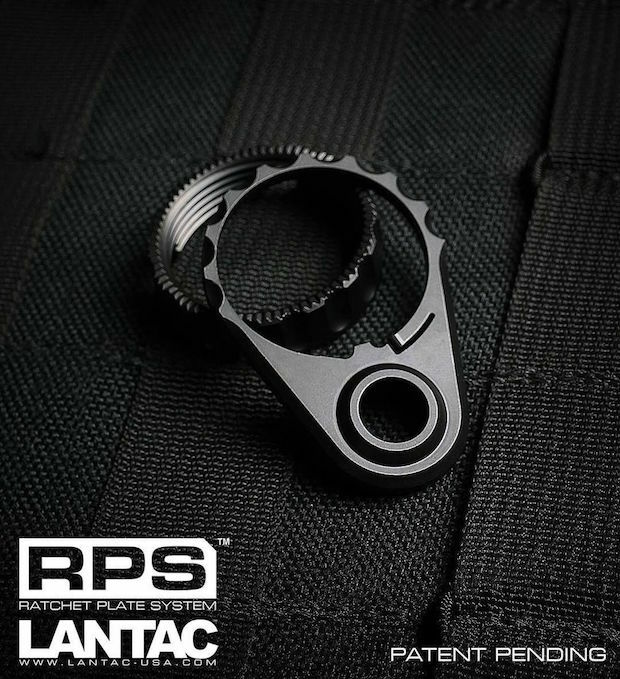 The Lantac RPS, Ratchet Plate System removes the necessity to stake castle nuts in place after fitting. 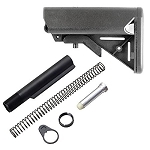 It also provides a QD Sling attachement point directly below the buffer tube. It utilises a one piece designed ratched tooth and arm, machined directly into the anti rotation plate itself. The enhanced castle nut has an aggressive grip pattern and radially machined groves that register with the spring like arm and tooth on the plate, causing the nut to be retained in place. The nut cannot vibrate loose through firing but can be removed through the use of an armourers wrench if necessary. The teeth and groves are all internal when fitted together so they cannot be accidentally damaged. lighter weight with additional functionality over the standard original design.